Vattenfall is poised to start work on a £165m extension to the Kentish Flats offshore wind farm, which will see 15 new turbines installed off the Kent coast by the end of next year. 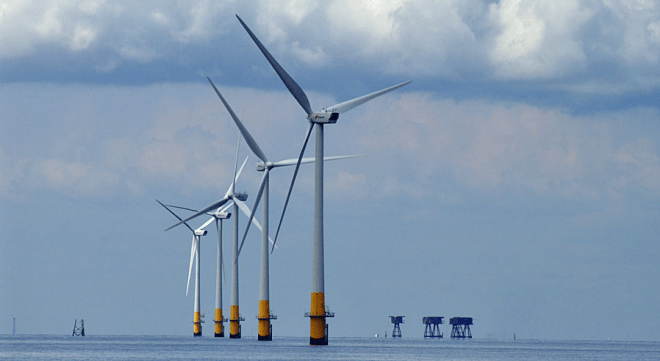 The Swedish utility today confirmed it would start offshore construction work next week on the latest phase of the development, preparing the seabed to lay 30 kilometres of cables from the wind farm to the shore in Herne Bay. The company plans to start installing foundations in spring 2015, and will then install each of the Vestas 3.3MW wind turbines by the end of July. The announcement represents a boost to an offshore wind industry that has been hit in recent weeks by warnings that a number of proposed projects are “grinding to a halt” amid concerns over the transition from the government’s current subsidy regime to its new support mechanism. Next The Governance Review: missing the point? Note that as new export cables are involved, presumably the road from Hampton, past the tip, across the old Thanet Way to the substation near the Share & Coulter will have to be dug up all over again….